There are so many stresses when entertaining, but your furniture doesn't have to be one of them. With this heirloom quality leather sectional sofa, you can cater to years of formal holiday gatherings and lazy weekends on the sofa. 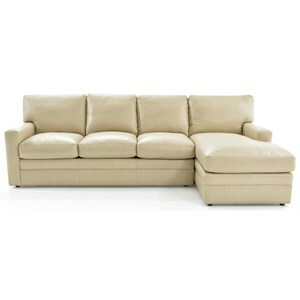 With durability hallmarks like genuine, eight way hand tied springs, sinuous spring back support, and top grain leather, this sofa can grow with your family and get better with age. 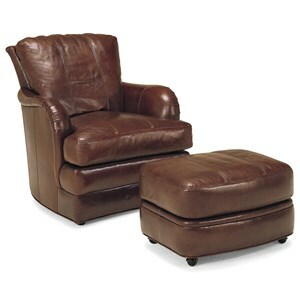 An extra deep seat and tall back grace this swivel chair so you can melt into your seat and discover perfect comfort. 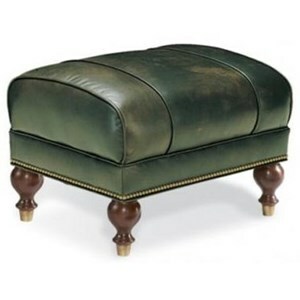 English arms and a rounded seat front add a chic look to this cozy piece. 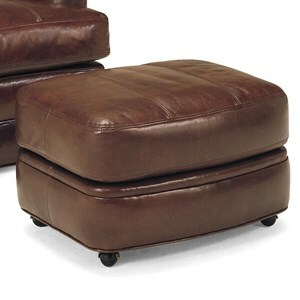 The matching ottoman includes casters so it can move easily with the swiveling chair. Make a piece that's truly yours by customizing the leather color and decorative trim detailing. Available trim options include multiple sizes and colors of nailhead, stitching options, quilting, corner patches, or hardware. With a time-honored, traditional design like this one, the details are everything. 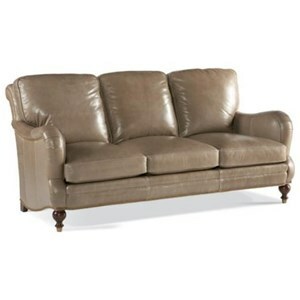 On this sofa you will find an all-over border of nailheads following the pleated arm, back, and base and traditionally shaped wood legs capped with metal ferrules. And upon inspecting these details more closely, you will not be disappointed as we tailor our sofas by hand with a high degree of precision and meticulous attention. 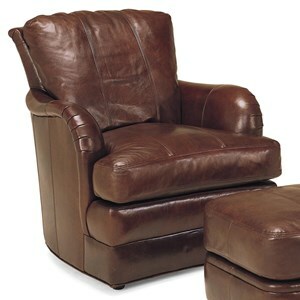 An extra deep seat and tall back grace this swivel chair so you can melt into your seat and discover perfect comfort. English arms and a rounded seat front add a chic look to this cozy piece. 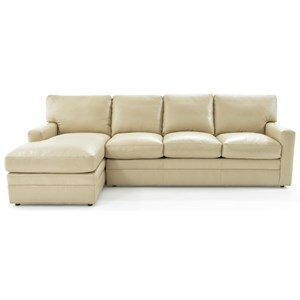 Make a piece that's truly yours by customizing the leather color and decorative trim detailing. Available trim options include multiple sizes and colors of nailhead, stitching options, quilting, corner patches, or hardware. With a time-honored, traditional design like this one, the details are everything. 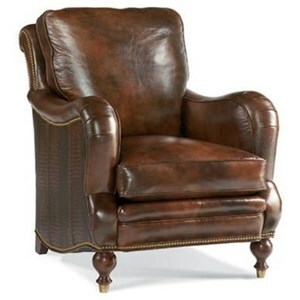 On this arm chair you will find an all-over border of nailheads following the pleated arm, back, and base and traditionally shaped wood legs capped with metal ferrules. And upon inspecting these details more closely, you will not be disappointed as we tailor our upholstery by hand with a high degree of precision and meticulous attention.